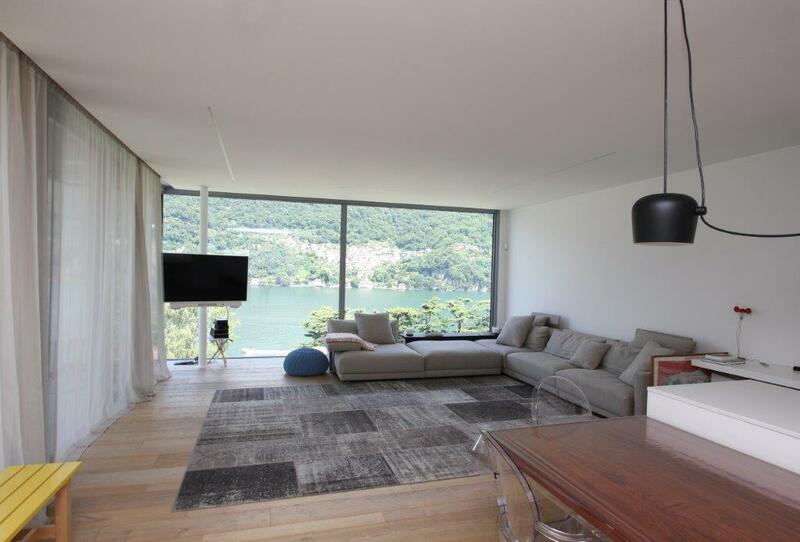 In a prestigious and architecturally unique development we are delighted to offer this stunning, contemporary apartment with wonderful views of the lake. 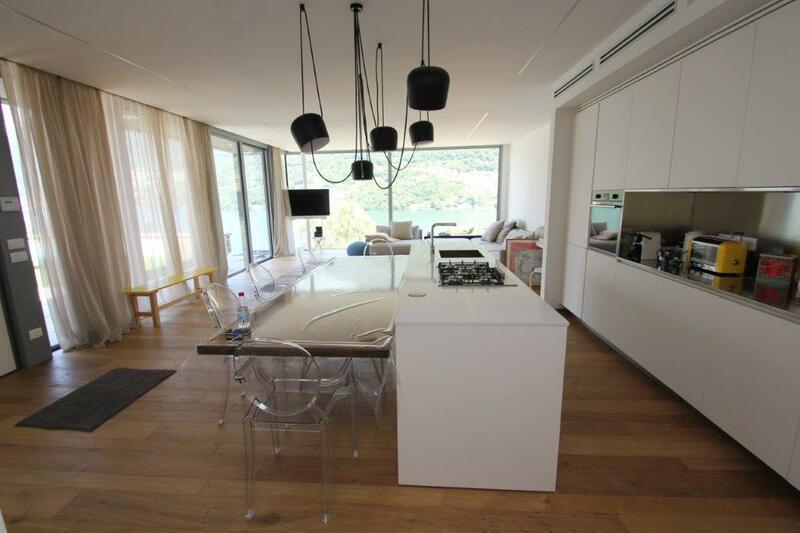 The apartment offer the ultimate in modern living with generous open spaces and large glass windows maximising the view and providing seamless access to the external spaces. 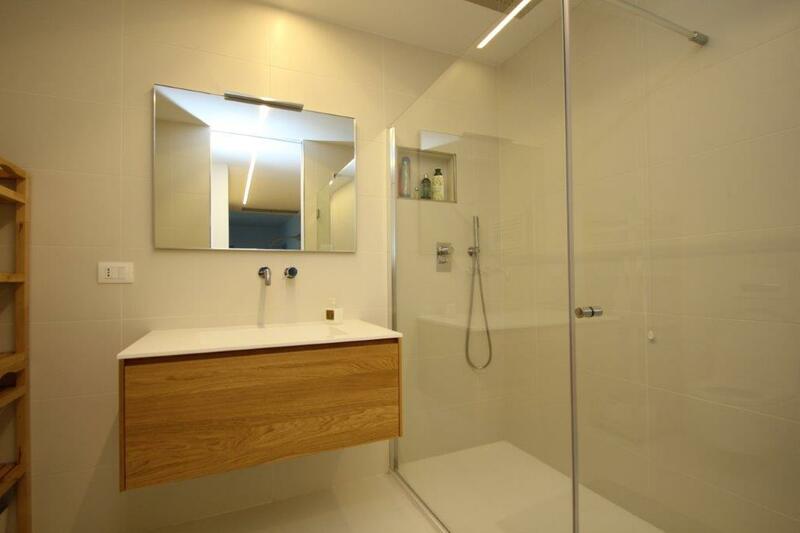 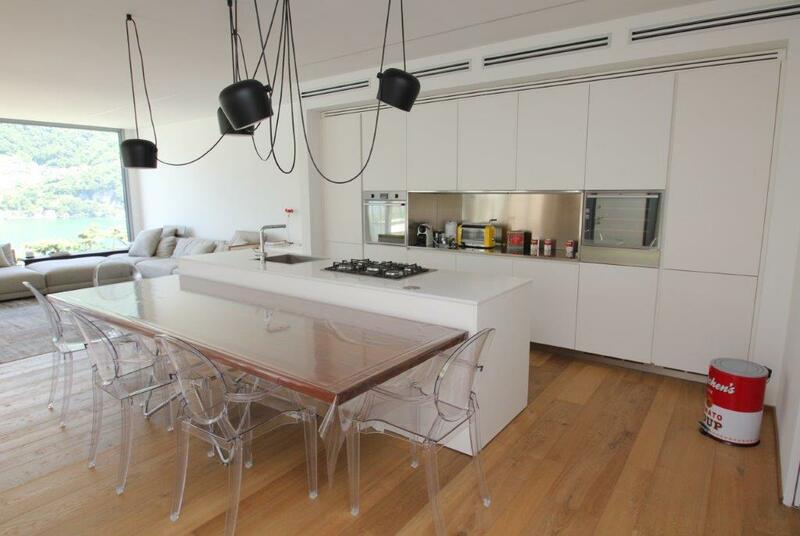 The 140sqm apartment is distributed over two levels and includes a stunning 90sqm terrace. 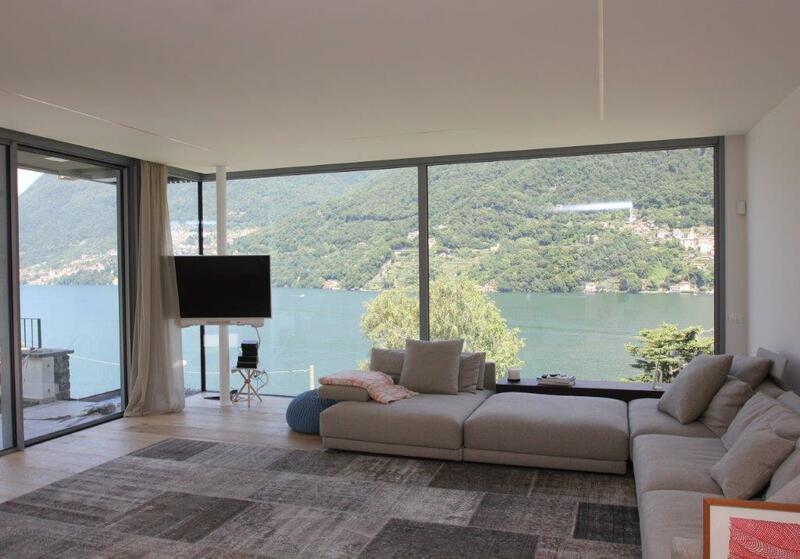 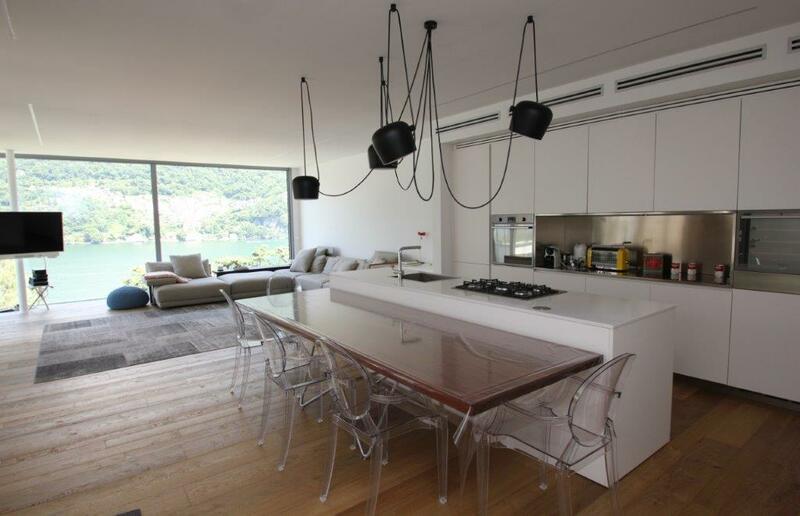 The apartment consists of an open plan living room/ dining room and kitchen which is flooded with natural light and has wonderful views of the water and mountains. 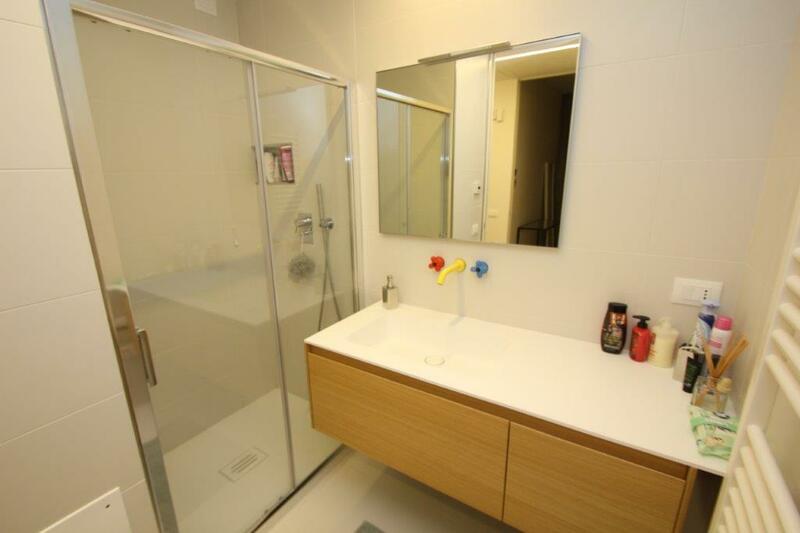 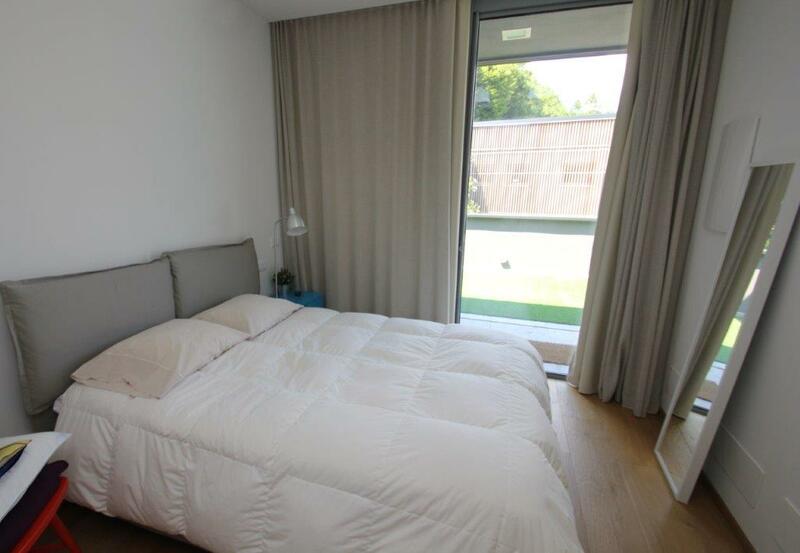 A master bedroom with dressing room, 2 double bedrooms and 3 bathrooms complete the living accommodation. 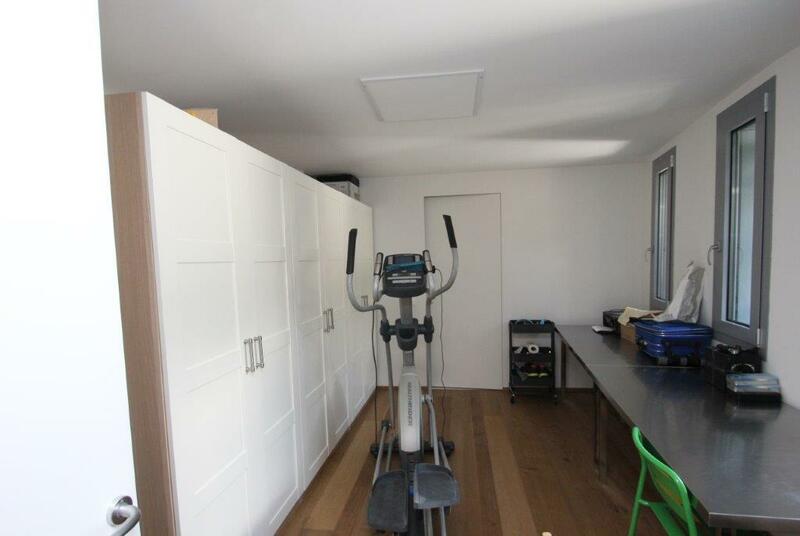 I addition the apartment has a laundry, double garage and large cellar. 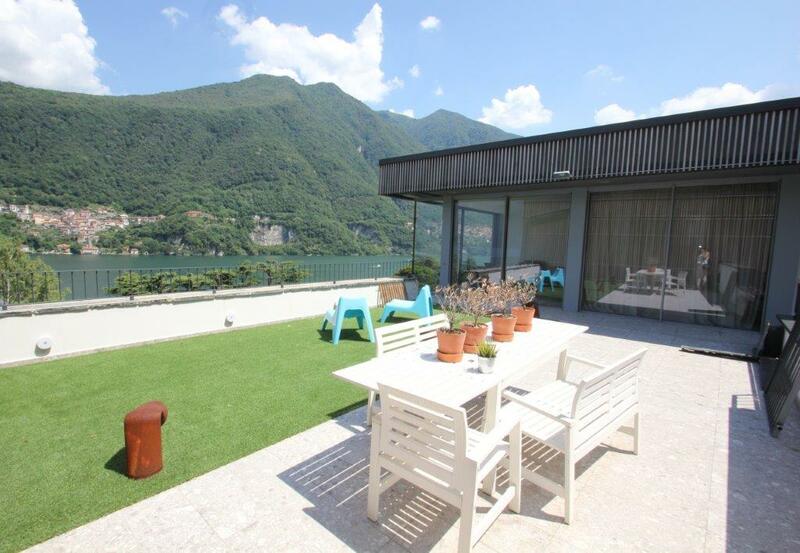 The villa is just a short walk to the lake and the popular lakeside village of laglio. 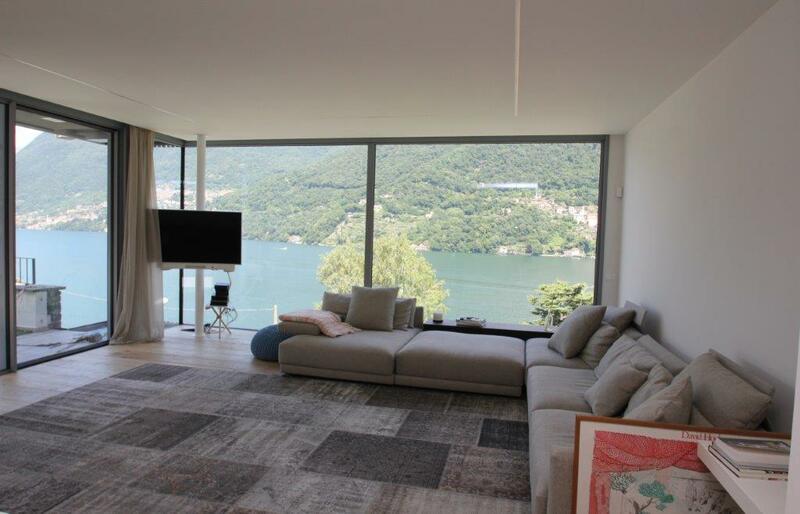 Villa D'Este in Cernobbio and Como town centre are just a short drive away. 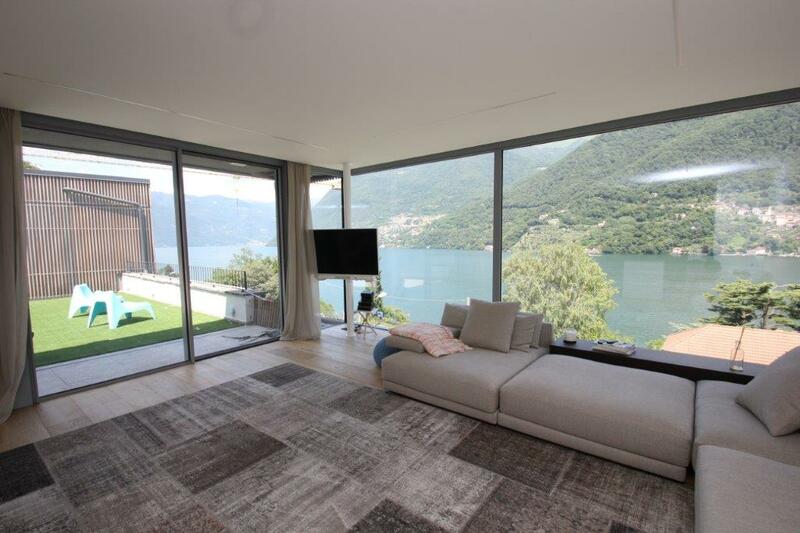 Laglio is a popular and characteristic lakeside village with a number of local amenities and excellent sun orientation. 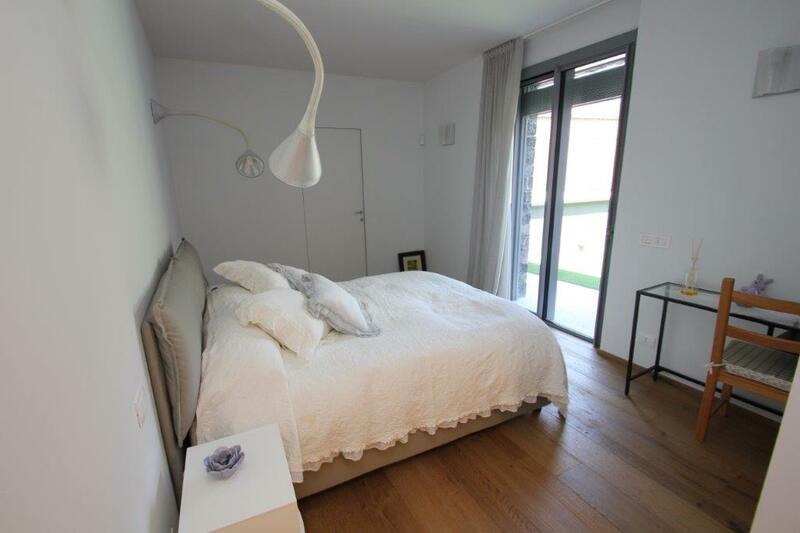 Milan Malpensa airport is a one hour drive from the villa.